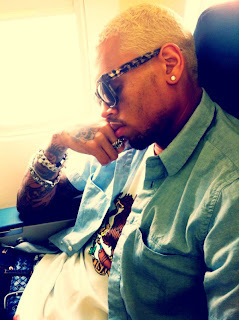 KayKiSpeaks.com: Doesnt Chris Brown look like such a good boy when he's sleeping?! Doesnt Chris Brown look like such a good boy when he's sleeping?! Doesnt he look like such a good boy when he's sleeping..................................? lol Looks like Chris Brown cant catch a break..this guy..smh. Neighbors at his West Hollywood condo community seem to hate the guy. They say according to TMZ that he parks in handicapped or illegal spots all of the time. The below photo seems to be proof of his horrible parking skills. He is said to have been ticketed numerous times. Unfortunately the story doesnt end here. Neighbors also claim that Breezy is simply hard to live by. He races dogs up & down hall ways all times of nights & blazes loud music as a further annoyance. They are fed up! Breezy's lawyer says the story isnt all the way true. He says he has the deed that proves the parking spots belong to Chris, but the developer never disclosed that they were handicapped spots, so he plans to fight the tickets in court. Chris Brown is young & very rich.